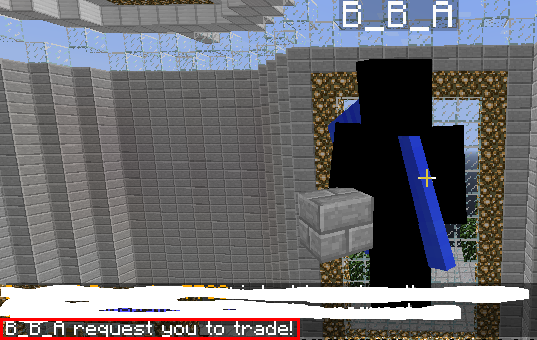 The Safe Trade is back! And better! No commands to remember, it’s all point & click. Here’s a brief tutorial on how to use it. 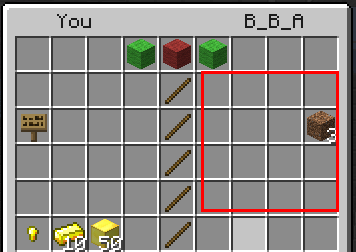 If you want to add SpaceCoins to the offer, see there are some gold nuggets, ingots and blocks below the area where you add your items. 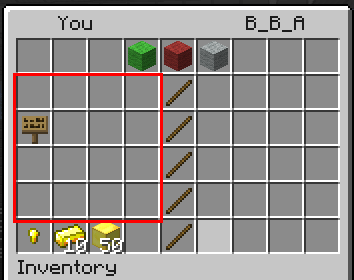 The gold nugget is 1 SpaceCoin, the ingot is 10 SpaceCoins and the gold block is 50 SpaceCoins. 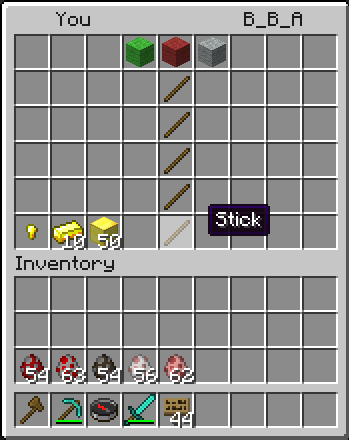 So if I want to add 130 SpaceCoins to my offer, I press the gold block twice (50 x 2 = 100) and the ingot 3 times (3 x 10 = 30). Important Note: No scam reports will be accepted anymore. It is everyone’s choice to not use the safe trade, but they do so at their own risk! This entry was posted in Minecraft Skyblock Server News, Minecraft Skyblock Server Tutorials on December 2, 2012 by heatseeker0. That gold thing is wrong. Important Note: This remade quote is true.